KleenGuard Personal Protective Equipment (PPE) enables rather than inhibits – allowing for maximum productivity and safety for you and your employees. Kleenguard A10 Light Duty Beard Covers are a terrific choice when you need to provide economical, disposable protection for workers who are exposed to dirt and grime in the workplace. They are protective wear designed for entry-level protection from hazardous dust and feature elastic ear loops. The fabric is made of lightweight spunbound material. 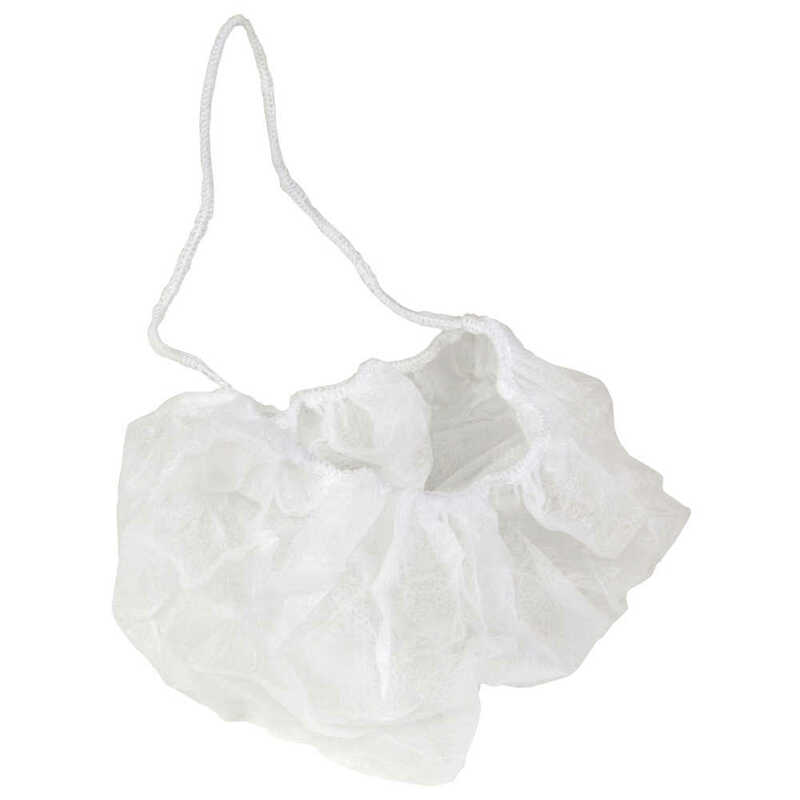 These white, disposable beard covers are a popular choice for food processing, general maintenance and manufacturing, and are not made with natural rubber. Making the right Personal Protection choice is difficult. Perform with distinction with KleenGuard Personal Protective Equipment (PPE).